Increasing customer retention rates by 5%, increases profits by 25% to 95%, according to the Harvard Business School. The cost of acquiring a NEW customer is five to seven times higher than retaining a CURRENT customer, as noted in studies from the U.S. Small Business Administration and U.S. Chamber of Commerce. Build Trust – To build customer loyalty, you need to become their trusted adviser. Listen – Customer churn can be avoided by simply just listening to your customers. Be The Expert – Identify & solve industry-specific problems currently facing your clients. Build relationships online – Interact with your customers on social media (through LinkedIn, Facebook profiles, Facebook Groups, etc.). Answer questions & offer support. Customer Appreciation – Send cards, gifts or host client-only events as a thank you. Repeat sales – Sell the benefits of packages or plans that are purchased on a regular basis. Upsell – Make sure you always have another offer or upgrade waiting. Easy payments – Accept online payments with PayPal and credit cards if possible. Installment options – Consider providing split payment options for high end products. “Lifetime” lump payment for high end customers – Access to all units of your program for one lump sum (best for online products, not 1-on-1 service). Make contact easy – Offer several methods (email, phone, appointment scheduling, online support) to reach you, and when to expect a response. Follow up quickly – Use your client’s preferred contact method with a speedy response. Check in regularly – Set up a schedule or delegate to employees or contractors to keep in touch with your current clients. Be proactive – Don’t wait for problems! Anticipate them & solve them before they occur. Provide easy information – People appreciate directness. Outline details your clients need such as: price, features, payment options, what is included – and what isn’t. Set Expectations – Use a New Client Welcome Kit to outline policies, best practices, how to reach you and your team, etc. Customer feedback surveys – Invaluable for learning how your service is performing in relation to your clients’ expectations. Streamline with Systems – By leveraging automation for common tasks, you can better meet your commitments & have time for personalized attention when needed. Referral Program – Use a system to ask for & collect referrals with rewards for leads. Loyalty Programs – Exclusive benefits & rewards for your customers. Run workshops (local or online) – Get to know your customers, provide access to you for questions and deepen relationships. What strategies will you implement? 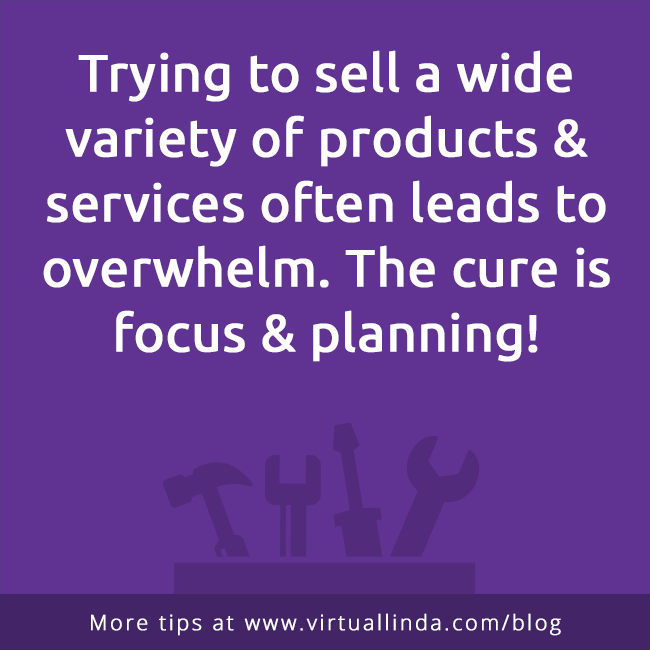 If you need some help in narrowing down your options to simplify, build, profit & repeat, let’s talk!